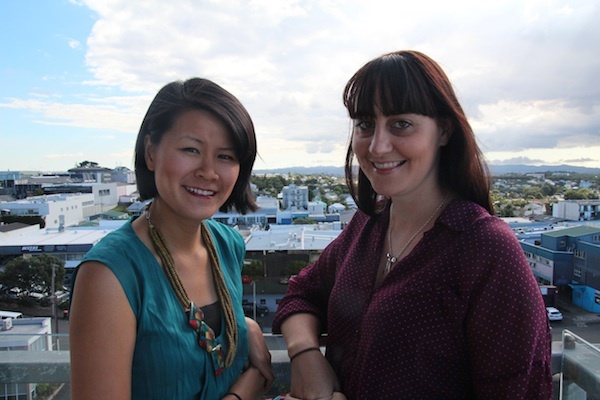 This week, The Fetch Auckland’s Curator, Kim Lesch, had a chat with Eddy Helm and Jade Tang, social entrepreneurs. 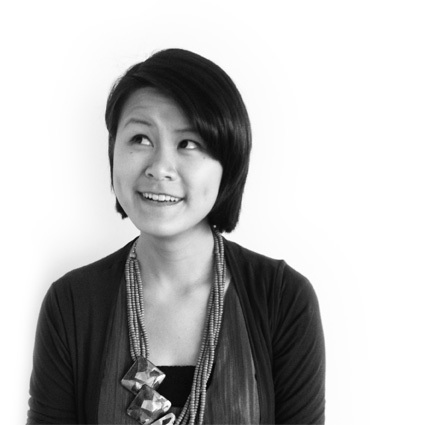 Infamous for helping build Auckland into a creative, community driven hub, Jade and Eddy spoke with Kim about all the projects they run, including CreativeMornings Auckland, their agency Curative, and the Kitchen, a socially responsible co-working space. Why does community factor so heavily in your work? After voluntarily running yMedia, an initiative that matched tertiary students, community organisations and the creative industries for mutual benefit, we could see that the area of greatest need was in empowering community organisations to have a voice and ensuring that their causes are acknowledged and supported. We are passionate about the principles and practice of social enterprise; essentially that a strong community leads to a strong economy. Hence, our social business and creative agency, Curative was born with the goal of enabling community communication. Through this, we work alongside community groups, not-for-profit organisations and social enterprises to help bring clarity and focus to their organisations, align teams of people around a clear purpose and ultimately enable people to work together to achieve extraordinary things. Our outputs are varied and include everything from websites and social media to design, copy-writing, fundraising and event management. We apply co-design and facilitated creative thinking to all of our work, and involve the community each project serves in the solutions that we prepare. By doing this, we believe that we can produce the most effective outcomes. For us, it’s about teaching and empowering, so that community groups can embrace and own their communication, and build genuine relationships with their supporters. What is the Kitchen? What makes it different from other co-working spaces? We work out of The Kitchen, a co-working space for changemakers; which hosts a number of businesses and organisations who work for more than profit. Each group has a focus on social or environmental growth and development, and the people that we share the space with can all relate to the work that we’re doing. It’s fantastic to share a space with people who have similar dreams and ambitions for the world we live in, but have a completely different set of experience and expertise; we have scientists, urban planners, engineers, teachers, psychologists, and the list goes on. As a creative agency, we’re spoilt to have this depth of viewpoints so readily available. The conversations we have are amazing, and it helps to make our work so much more richer and considered. We met in 2009 as part of the yMedia crew, which we both took a leadership role in running. We formed a strong bond pretty immediately, and always had a huge respect for the way we each approached the work we were doing. However, as a voluntary project that was incredibly demanding on time and energy, we had to acknowledge that it wasn’t sustainable, and took a break in 2011. While we were trying to figure out how to move yMedia forward we realised, over a glass of wine, that we really just wanted to work together, and all we needed to do was determine how. So in the months that followed, we shaped Curative into a workable model, and we’re thrilled to have just celebrated our first birthday. It’s been so great to take the relationship that started in a voluntary capacity, and test its strength. We’re so lucky to have found complimentary skills and shared values in one another, and our friendship has only grown stronger as our business grows. What characteristics do you look for in collaborators? For us, it’s less about skills and more about attitude and values. We’re currently looking to hire two paid interns, and there is a lot of fresh, young, hungry talent out there, so we’ve had to think really hard about what we’re looking for. We really want to work with people who are ‘yes people’, who believe that anything is possible, will give anything a go, who truly care about others and can see the value in the work that we do. Of course creativity, problem solving, design and writing all come into the mix, but ultimately whoever we work with needs to be a doer. What’s on the cards for Curative in 2013? 2012 was about proving to ourselves that we could do it, so we took on every project that came our way, no matter how big or small. It allowed us to build a really varied, interesting and worthy portfolio, which we are incredibly proud of and that really showcases our capability. It also started to show us what works and what doesn’t. So 2013, is about sharpening things up even more; about being more selective in the work we take on, but still being able to offer help, guidance and advice to anybody that asks for it. It will be a year of growth with a few extra bodies joining the Curative team, and ultimately it will be another year of learning. The day we stop learning is the day we’ll stop doing what we’re doing. 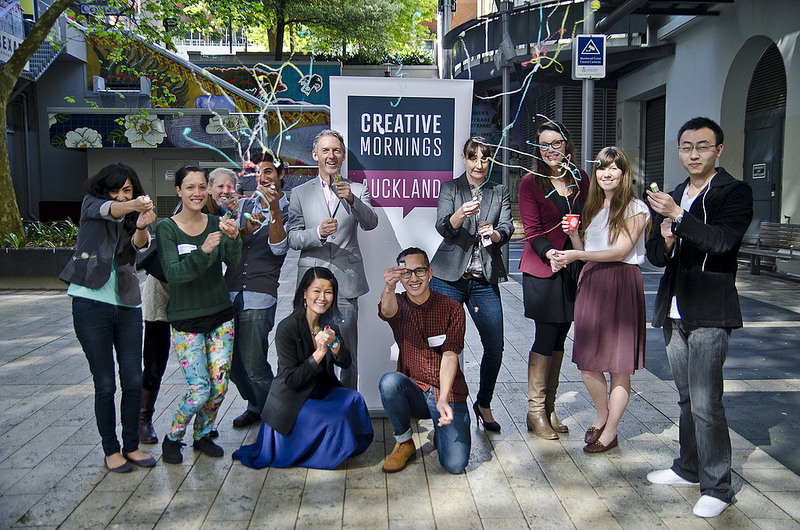 CreativeMornings Auckland – how and when did it start? Have you been to many overseas? CreativeMornings is really Jade’s pet project. 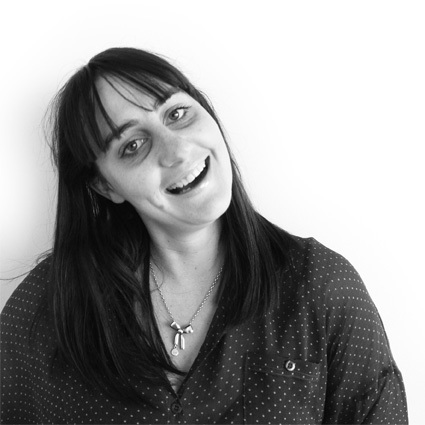 When Curative was still just the seed of an idea, Jade was working a number of different contracts, including We Can Create 2011 (a creative art + design conference). This work ignited her passion for supporting and connecting creative professionals, and having watched the work of @SwissMiss in New York, she decided the time was right to bring CreativeMornings to Auckland. So the first event was held in October 2011. When we started Curative, we both agreed that we needed to continue running and hosting the events. We knew it would be important for us to stay well connected to the creative community to help fuel our own work, and we really believe in practicing what we preach, and nurturing our own community. Jade was lucky enough to attend a CreativeMornings when in London (for a Curative client project, with British Council NZ), and Kaan has been to one in Melbourne. We love being part of the global network, and we’d love to get to all of the chapters… But perhaps not this year! I guess what we love about Auckland is that there is always something happening. Being part of business, community, and the creative industries means that there are always lots of events, conferences, workshops, professional development, and even parties to go to. We love to meet new people and hear new perspectives on things, so living in a multi-cultural city full of diversity is the best place for us to be. Favourite spots… There are so many! The Curative crew spend a lot of time in Ponsonby, and we’d have to say that The Kitchen is one of our favourite places, it’s always busy and full of interesting people. We also love to hang out with our friends at Movers & Shakers in their giant inflatable brain. We’re big fans of Q Theatre, The Basement and The Civic, and try to get to shows and plays when we can. We love to eat out with friends at the many cafe’s and restaurants and often take recommendations from the lovely ladies at Gather and Hunt. And of course we love all of the great venues and cafes that play host to CreativeMornings Auckland.